I’m a bookworm. Always have been, and if ever there were a habit that I’d want them to pick up, it would be that one. Letting them pick out and read the books that interest them has certainly helped, but what do you do when they’re just not interested, or they are interested but are overwhelmed because there are just way too many books to choose from? Well, trying out various types of books is a great place to start, but with one simple trick, you can not only get your kids reading but enjoying it too! The trick? Make it a game! While some kids love reading, others may struggle. Many will say that they don’t like to read, but I am a firm believer that those who say that they’re not fans of reading simply haven’t found the right book yet. Making the exploration of books a game offers up that extra little incentive that some children may need to really spark their interest. The fact that it makes it both fun and easy for your child to explore various types and genres of books doesn’t hurt either. 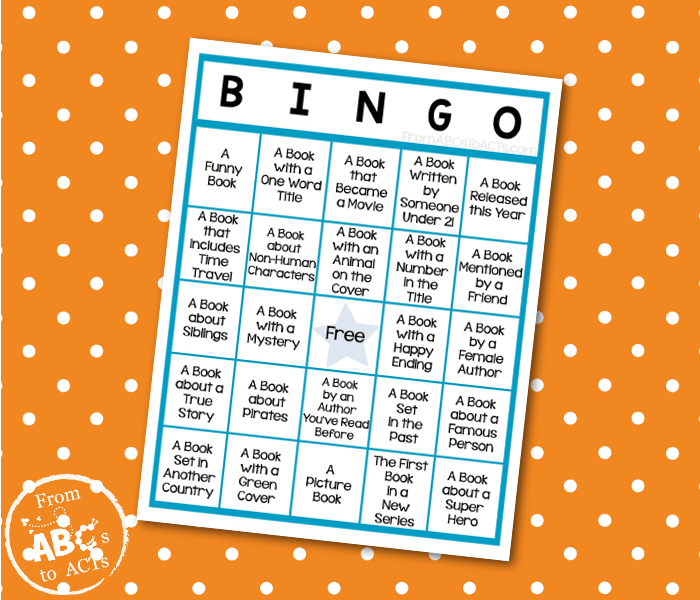 To start, you’re going to want to grab the Book Bingo printable below. Now, this isn’t your average bingo board. You won’t find any numbers here. Instead, this board is full of books. Types of books to be exact. From funny books to books that have been made into movies, as your child tries out the various types of books, they’ll be able to mark off spots and work their way toward getting a book BINGO while exploring books they might not have otherwise. The best part? Making your way through this list of books can be just as easy as making reading fun for your kids with the Fantastic Scholastic Book Giveaway Program. In fact, getting these books is as easy as 1, 2, 3 or buy, send, get. Now that the Fantastic Scholastic Book Giveaway Program has launched in Walmart stores everywhere, your back to school supply shopping or your weekly grocery run can you earn you up to 90 Scholastic titles for your home or school library! The first step, buy. Purchase one participating item by 9/30/17, of which there are over 100 to choose from while shopping at Walmart. 1 box = 1 book. Next, send. Snap a photo of your receipt, which you’re probably already doing if you use any major rewards programs like IBOTTTA or EBates, and send it via email to [email protected] or text the keyword BOOK and the photo of your receipt to 89332 (message and data rates may apply). Finally, get. Get your free book credit to redeem for a book of your choice at www.KFR.com/FreeScholasticBook. With over 80 full-length Scholastic titles for beginning readers to teens to choose from, you and your child will have plenty to choose from while working on your bingo board.